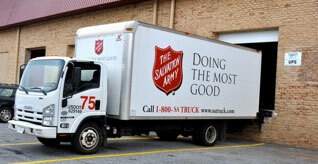 Marlin donates baskets and racks to the Maryland Food Bank. 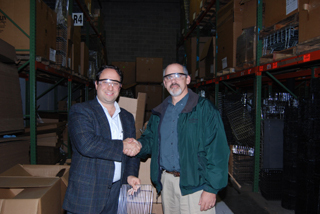 Pictured is John May Director of Operations with Drew Greenblatt. 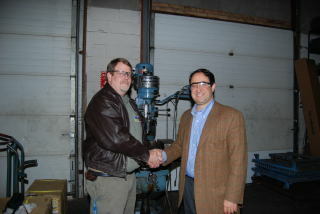 Marlin donates Bridgeport Mill to Sollers Point High School (Mr. John Lyons pictured with Drew Greenblatt President of Marlin) to help Vocational Opportunities in Maryland.